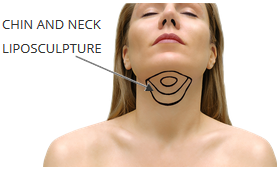 An attractive neck and chin region is generally characterized by absence of bulging fat. Current American culture does not consider a “double chin” or fatty round neck to be an attractive feature. The American female ideal contour is seen in young magazine cover models, where sharp angles characterize the jawline and fat is essentially completely absent in the neck region. Obviously, these cover models are handpicked from thousands of applicants. They are frequently tall and weight less than 110 pounds. Nonetheless, they are considered our current cultural ideal as far as neck and chin contour. Attractive male neck jawlines are also generally characterized by sharp angles and absence of bulging fat underneath the chin. Bulging fat underneath the male chin can impart an “out of shape” look to a man – even if the rest of his physique is relatively thin and muscular. Sometimes men (and women) are just genetically programmed to accumulate fat in the chin and neck region, regardless of diet and exercise. They may inherit this trait from their parents. After about age 50, some men and women develop “jowls”. Jowls can be described as two small chestnut sized accumulations of fatty tissue just to the sides of the front of the chin that seem to hang from the jawline. These two small localized bulges of tissue disturb an otherwise natural flow of the jawline. The presence of jowls obviously imparts an aged appearance to the entire face. HOW DO I KNOW IF I AM A CANDIDATE FOR LIPO OF THESE AREAS? CHIN AND NECK: Look at yourself in a mirror and pay particular attention to the region under your chin. Have someone also take a direct close-up profile photograph of your face and neck while you are looking perfectly straight. If you notice a bulge of fatty tissue underneath your chin region, then you may be a good candidate for liposculpture under the chin. Even some physically fit patients in their 20’s can benefit from suctioning of fat from underneath their chin to improve their profile. JOWLS: If you are less than 45 years old, it is highly unlikely that you have significant jowls. Look at yourself straight on in a mirror. If you see two hanging areas of fatty tissue just to the sides of the front of your chin, then you may benefit from liposculpture of the jowl region. This area, however, is too complex to evaluate on your own. Dr. Hayduke needs to perform a full in person examination to determine if you would benefit from liposculpture of the jowl region. If hanging loose neck skin and jaw skin is already present, then liposculpture is not the indicated procedure. The concept of liposculpture relies upon your skin’s ability to retract back to a pleasing contour after the fat is removed. As we age, our skin progressively loses its elasticity and ability to retract back after liposuction. If your skin is already loose and lacks elasticity, then a cervicofacial rhytidectomy (facelift) would be more appropriate since it can improve both the loose hanging skin as well as the bulging fat of the jowl region. Since Dr. Hayduke is a true board certified plastic surgeon, he can recommend and perform a cervicofacial rhytidectomy (facelift) if is in indicated in your case. Since many physicians who perform liposculpture are not true plastic surgeons, they frequently overlook the chin bone structure from profile view. It is not uncommon for patients with weak chin bone structure to present to the office complaining of fat under the chin. In these cases, Dr. Hayduke recommends a small tasteful chin implant at the same time as the liposculpture procedure. Strengthening the chin itself with a small implant can significantly add to the quality of the cosmetic result of chin/neck liposculpture in patients with weak chin bone structure. Another issue worth mentioning for clients over age 45 is neck “platysmal bands”. Platysmal bands of the neck are two vertical bands of muscle tissue that can be seen in some individuals underneath the chin. They can become the visual point of focus of your entire neck, since they draw so much attention to themselves. Some clients can voluntarily flex the “neck muscle” and make these platysma muscle bands extremely prominent. If you have two prominent vertical bands of tissue under your chin in the neck region, then a platysmaplasty procedure may be more appropriate (some clients require a formal cervicofacial rhytidectomy if excess skin is also present). When Dr. Hayduke performs a platysmaplasty, he makes a short horizontal incision underneath your chin, transects the unsightly bands of muscle tissue, and sews them together in the midline with long lasting sutures. Liposculpture is also performed at the same time to help flatten the fatty bulges. Recovery after pure liposculpture under the chin is usually rapid. Dr. Hayduke prefers to perform this procedure in the office under local anesthesia. 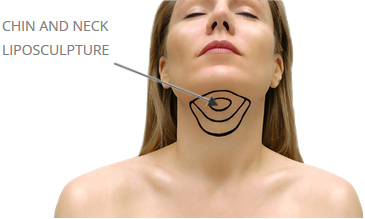 The procedure is short and you go home wearing an elastic band that compresses the freshly suctioned neck area. Tylenol is used for pain for the first three days. Most patients can be back at their desk jobs rapidly. Some bruising may persist for about one week.